New systems for R&D and production. RIE, Triode, PECVD, or ICP/HDP configurations are available based on an innovative modular plasma platform. The range of MPS models is also aimed at solving the low-volume research, development, and analytical user's needs. Our MPS-150™ was introduced to meet the unique demands of 2-6" compound semiconductor manufacturing. 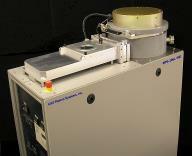 Our MPS-200™ and MPS-300™ Series high performance plasma tool is used in a variety of demanding applications. The MPS is also available as an OEM module. These systems are being used today for semiconductor research and manufacturing, MEMS, Solar & PV, LED's and Laser diodes, nanotechnology, superconductivity and plasma studies, waveguide manufacture, failure analysis, and CVD of materials ranging from dielectrics to diamond films. Recent introductions to the product mix include the MPS-450-RIE/CVD™ as well as the new bench-top TT-150-RIE/CVD family. Now, 2016 ushers in two new product families to the versatile AGSP line of plasma processors: Korvus Hex PVD and Relyon plasma’s Atmospheric Plasma Torches. This versatile parallel plate plasma tool was based on the very successful design once built by Ion & Plasma Equipment. It remains the most rugged, reliable, and low cost plasma system you can buy. AGS offers the Modular Process System™ , or MPS™, for solving any of your plasma processing requirements with even greater reliability and the best uptime in the industry. Using our standard MPS platform, this Inductively Coupled Plasma (ICP) tool can be helpful where high etch rates and low damage are required. 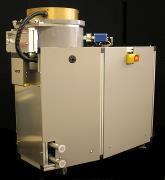 AGS utilizes a compact, self contained, economical HDP plasma source. Advanced systems for use with toxic or corrosive gases or when contamination must be eliminated from your process. The versatile multi-chamber cluster tool for all of today's most demanding process. The classic, high performance, value priced, RIE plasma tool used throughout the world for over ten years - and still going strong. A versatile multi-process PECVD tool with flexible controls and excellent uniformity - all for low price. Reliable bench top model for laboratory research. A research PVD tool with flexible controls and versatile configuration options. Conceived to enable creativity and design flexibility in vacuum chamber system construction. Cubes can be stacked together into various shapes and configurations, with interchangeable plates offering a variety of features for connections, windows, and feedthroughs. The Penta-PVD series is a compact and highly flexible range of deposition systems which allow the user complete freedom to reconfigure the equipment to suit their current experimental needs or for a future change of direction.